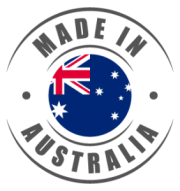 High quality Australian made saunas manufactured in Sussex Inlet, NSW. All saunas are factory test fitted and flat packed for easy transportation. All you need to do once sauna arrived is to assemble it by following supplied manuals. You would also need certified professionals (electrician or fire place plumber) to hook up sauna heater and start enjoying it with family and friends.